Be the first to hear about their new releases and deals. 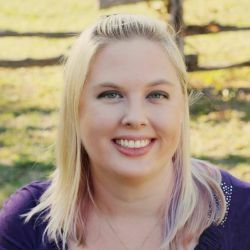 Download the Booksprout app and search for Krystal Shannan today! Krystal Shannan lives in a sprawling ranch style home with her husband, daughter, and a pack of rescue Basset Hounds. She is an advocate for Autism Awareness and shares the experiences and adventures she’s been through with her daughter whenever she can. If you are looking for leisurely-paced sweet romance, her books are probably not for you. However, for those looking for a story filled with adventure, passion, and just enough humor to make you laugh out loud. Welcome home!